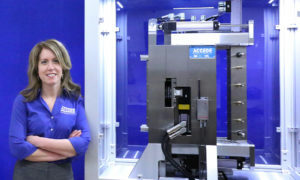 CONGRATULATIONS to our very own, Camille Sackett for being honored in Mold Making Technology’s, “Women Impacting Moldmaking”. This recognition honors female makers, innovators and leaders who are influencing our industry’s future. MoldMaking Technology magazine is honoring and celebrating the women who help make moldmaking such a dynamic industry. Each of our honorees has made a lasting impact on her company, earning leadership roles that keep our industry moving forward. They are women driving innovation, changing culture, breaking barriers, working hard, instilling passion and energizing the next generation of women in moldmaking.